HARLEM, Manhattan (WABC) -- The body of a 69-year-old woman believed to have been killed by her nephew was apparently found by police. 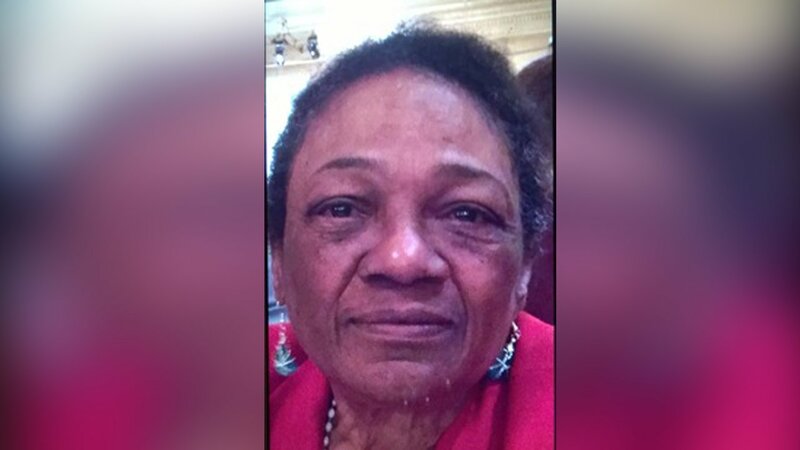 The body of Patricia Myers was recovered by detectives in a wooded area along Harlem River Drive and 159th Street in Harlem at 7:30 p.m. Monday. The medical examiner will make the positive identification. Her nephew, Andros Topping, had already been charged with second-degree murder and manslaughter. Myers was last seen in her apartment on Grand Concourse in the Claremont section of the Bronx last month. Police later discovered blood there, as well as the oxygen tank Myers needed to breathe. The 37-year-old Topping, who police said had just moved in with Myers after his release from prison on April 18, allegedly told his brother he "did something bad." Authorities say the suspect had confessed to detectives that he put the body in a suitcase and dumped it somewhere. Detectives recovered enough surveillance during a video canvas to literally track Topping from the Bronx apartment building. He walked across the Macombs Dam Bridge and into Harlem, all while carrying the suitcase, according to investigators. The video trail ended at the Rangel Houses, where detectives searched until finding the suitcase, which had been partially buried in the ground behind the city-run apartment complex with the body decomposing inside.